Looking for a professional photographer in Seville is not an easy task. Even though there are hundreds of photographers in the city, not all of them can provide the service you are really looking for! 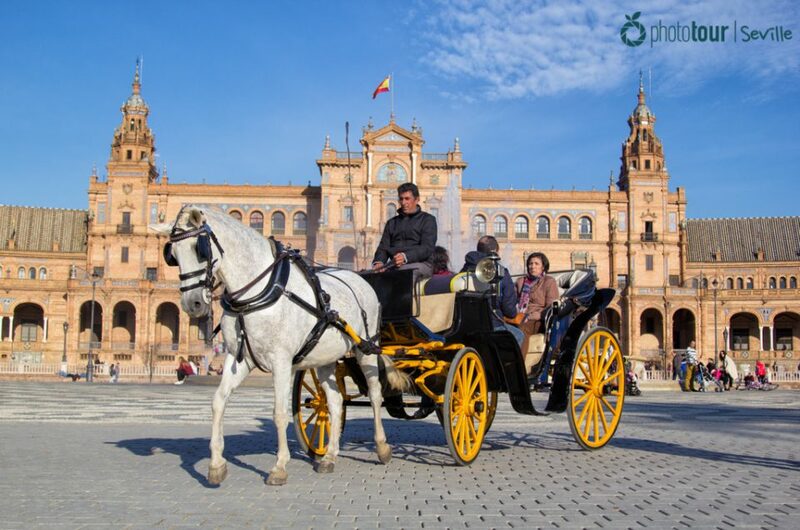 Or if they can, maybe they don’t speak English, or don’t fully understand what you would like to get with your photo album… And you definitely need a photographer that gets the idea of what you want to do during your time in Seville! 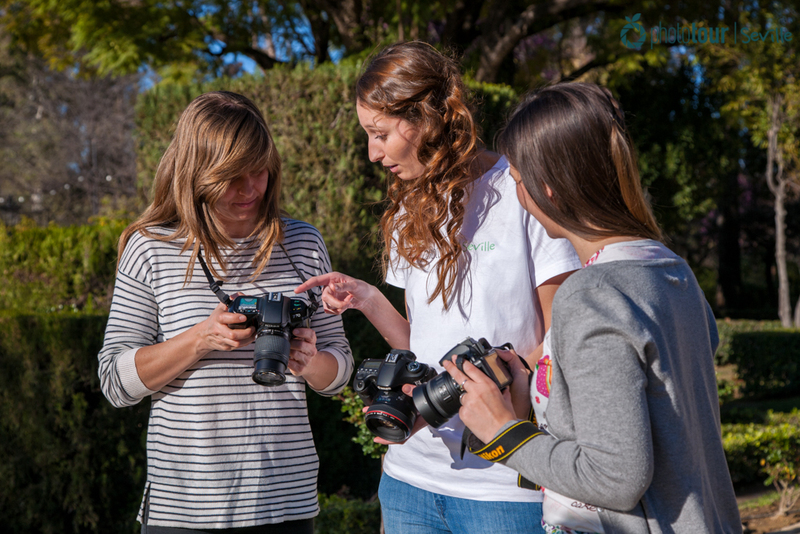 In Photo Tour Seville we want to help you choose a photographer without taking any risks! That’s why we have written down a list of tips that you need to know to book your ideal photographer in Seville. Check them out! Be sure that he/she really knows about photography! Most of the photographers that you will contact will affirm you that they are professionals. However, the truth is rather different. Because of the economic situation in Spain, many people that lost their job have been forced to recycle and adapt to a new field. Some of them decided to buy a camera and try as photographers in Seville, and this is something that ends up being pretty tangible in their final work. Ask your photographer to show you some title or degree that proves that he/she studied in an official photography school, and make sure he/she is discharged as a photographer. Don´t be shy and ask him/her everything you need to know about your photo tour. This way you will be sure that your photographer is a professional in the field, and really knows the best techniques and ways to give you the best experience! One of the most important things that you need to do before booking a photographer is to check out his/her previous work. This is how you will see not just the kind of pictures he/she has been taking lately, but also if this person will be the most suitable for the ideas you have in mind for your photo album. Every photographer has his/her own style: classic, retro, natural, modern… By watching a portfolio you can find the photos that fit more with your style. Pick the pictures that you love the most and ask him/her to take similar photos of you and your friends, family, couple… That way you will get exactly what you are looking for! Look for opinions about the photographer! There is so much information on the Internet, and the social networks provide us with even more opinions of services and products we want to buy. This situation makes very easy to really know if a professional is as god as he/she say, just taking a look at the customer reviews online. So if you want to know the truth about the quality service, expertise, or just what people think of the pictures they got after working with him/her… you should check out their opinions on websites as TripAdvisor or Yelp! This kind of online platforms are pretty reliable due to their users don’t get paid for their comments, so it’s a good way to really know what people think. Read calmly the reviews, even the bad ones, so when you finish you will have a better general idea of the service that your potential photographer is offering. Make sure your photographer really speaks your language! It might seem silly, but communication in photography is essential for a good result. During the photo shoot the photographer has to be able to communicate with you fluently, in order to make you feel confident and comfortable. If he/she doesn’t speak your language, and you don’t speak his/hers, there’s a big chance that you won’t get the pictures you expected. To avoid this situation, make sure in advance that you and your photographer speak the same language, for example, exchanging emails where you ask about the particularities of the tours, setting a Skype session so you can see if you understand each other well, etc. It will definitely make a difference in your photo shoot and you will get what you want! 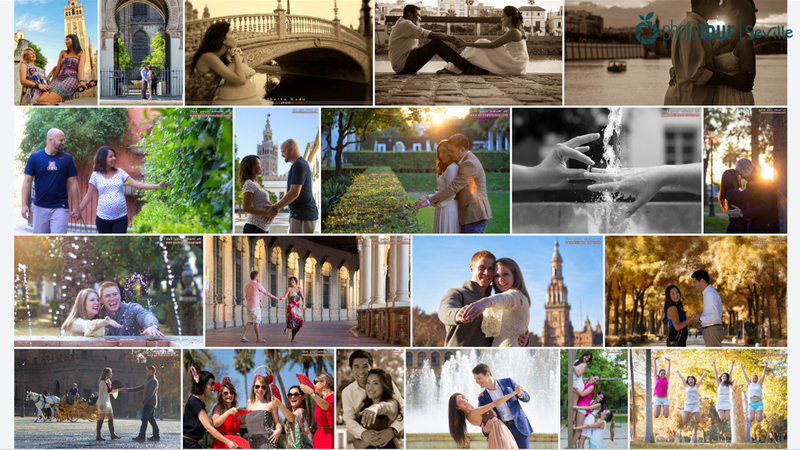 Book a photographer that knows Seville as a local! If you plan to visit Seville or any other city, you should make sure that your photographer is a local of the town, or at least that he/she has being living there enough time to know the place like the back of his/her hand! Weather if your photographer is native or someone that has been living in the city for many years, it is very important that he/she really knows all those photogenic spots, not just the most touristic ones. This way you will take advantage of his/her knowledge and have pictures from the best hidden and secret places of Seville that only locals know. 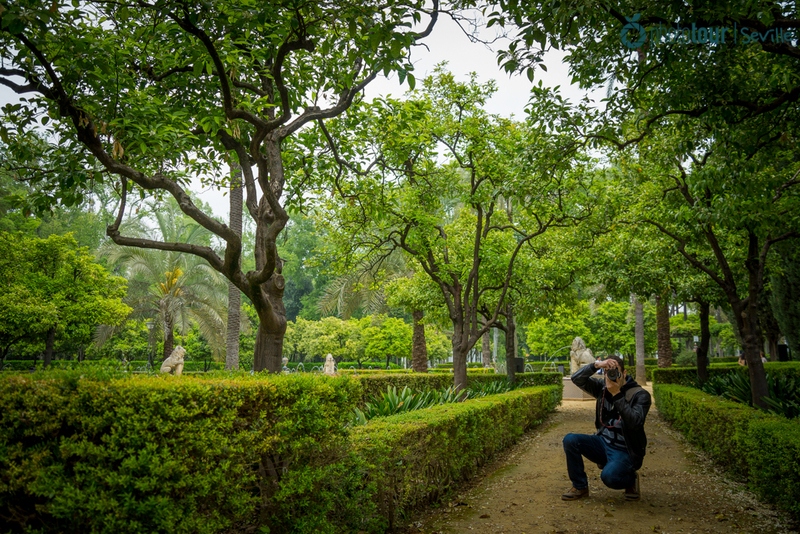 We hope these tips help you find the perfect photographer for you in Seville! 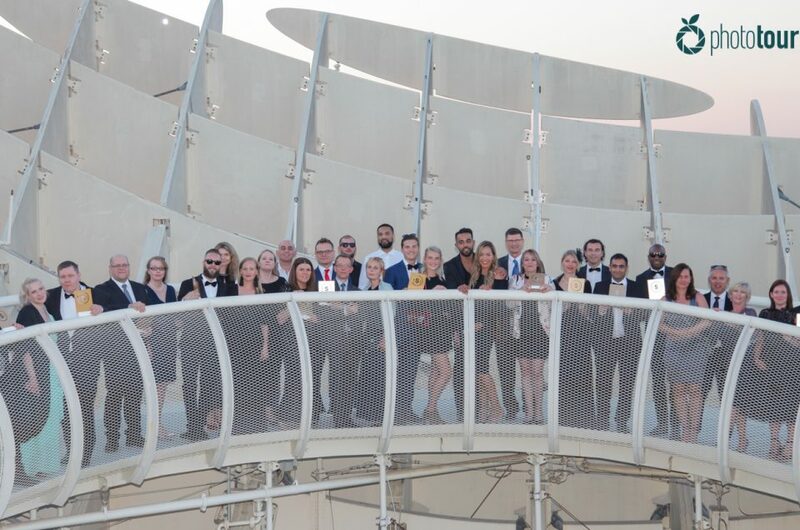 We invite you to check out our team as well! 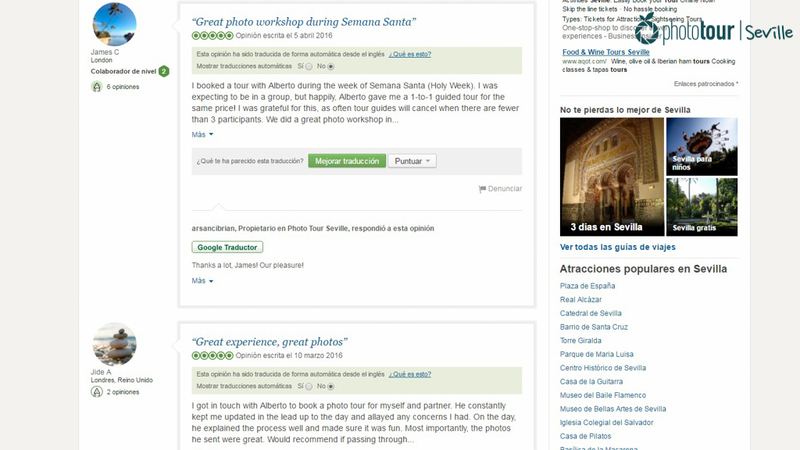 In Photo Tour Seville we will be happy to answer any doubts you have and, of course, to immortalize your experience in Seville!